Upper Field As you enter Dogwood and veer to the right, it will be immediately on your right. See map of field sub-locations (left). Johnson Field As you enter Dogwood and veer to the right, it will be all the way to the end of the road on your left. See map of field sub locations (left). From I-270, take Rt. 28 (W. Montgomery Ave.) which becomes Jefferson St. to Monroe St. Turn right on Monroe St. which leads directly to park. Located at 1368 Main Street in the Lakelands community, this new jewel features lighted fields for baseball, softball, soccer and other team sports, a picnic pavilion, and Billy’s Playground, a fully handicapped-accessible play area for young children. Near Field Nearest to parking lot. Far Field Furthest from parking lot. A high quality and modern facility with synthetic turf fields. When driving down First Street, look for the bridge leading to the picnic shelter and playgound (http://bit.ly/9OEr2v). You can also park near 702 Crabb Ave and follow the path to get to the field. From the intersection of Shady Grove Rd and Frederick Ave (Rt #355). Take Frederick Ave North. Turn left onto West Deer Park Dr. Continue on West Deer Park Dr to 4 way stop. Turn left on Summit Hall Rd. Summit Hall Elementary School will be on your left. Morris Park is down the hill. 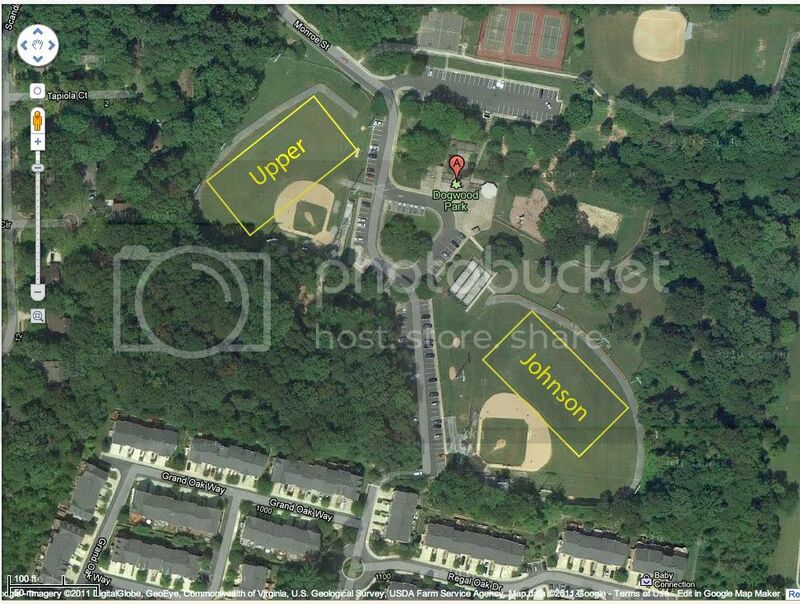 Walker Field is the field closes to the parking lot and Morris Field is the field closest to the elementary school. Left Field When viewed from the parking lot, it's the left-most field. Right Field When viewed from the parking lot, it's the right-most field. 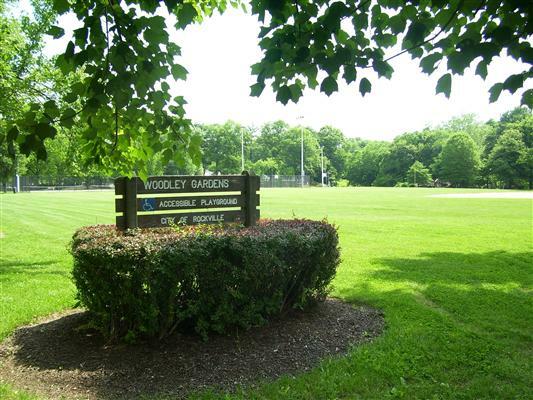 This park comprises 13 acres along Veirs Mill Road and its main features are two soccer fields. 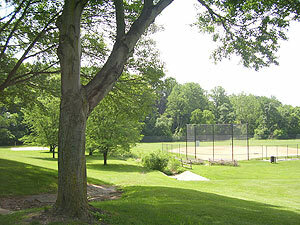 The park is enclosed on three sides by Rock Creek Regional Park. 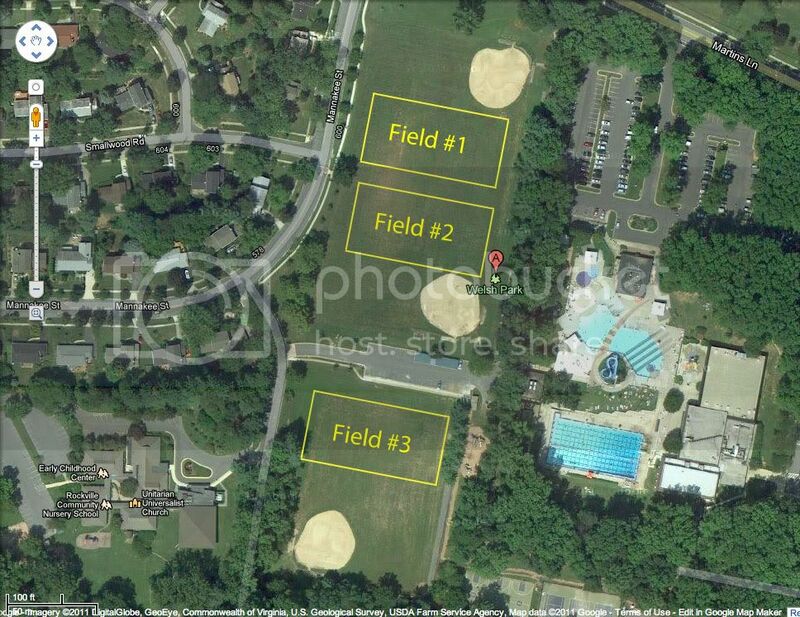 This park contains two softball/baseball fields, an all purpose football/soccer field and a soccer practice field. All of the fields are lighted for night games. The park was formally dedicated in 1982 to Thomas Robertson who was the City's first Recreation Director. A new Robertson Park Youth Center is now open. From the intersection of Quince Orchard Road and Clopper Road: Take Clopper Road West. At first traffic light turn left on Firstfield. Immediately bear right on Quince Orchard Blvd. Go past swimming pool on right and turn right on Rabbitt Road. Robertson Park is on the left. Field #2 Northern most field, furthest away from the parking lot. See map of field sub locations (left). Field #1 Middle field, next to the north side of the parking lot. See map of field sub locations (left). Martins La. at Mannakee St.
Rt. 28 west (W. Montgomery Ave.) toward I-270. Turn right onto Mannakee St. Follow for 1/2 mile; park on right.